What’s in Your Pool Filtration System? Condominium managers can be easily misled when it comes to pool filtration alternatives. On the one hand, they may or may not be aware that Granular Media (sand) filters have been the overwhelming choice of commercial and municipal pools since the late 1980s. If you were to look in the equipment room in 95 percent of all city, university, waterpark, competitive, or high-profile resorts, you will more than likely find a sand filter. On the other hand, they may be dealing with a pool service or renovation company that tells them that it is impossible to achieve good water quality using sand filters. Who can you believe? Read on. New-style, high-rate sand filters, popularized in the mid- to late 1980s with Walt Disney World and Wet N’ Wild, among others, offer a great combination of sparkling water quality, responsible water savings, and low backwash labor and maintenance costs. While many existing condominium filters require hours of constant supervision and frequent hand-to-hand combat, owners of top-quality, permanent media sand filters experience great or even drinking-water quality, pool water and backwash with minimal water and labor in two and a half minutes. This technology could free up the maintenance staff to pursue more critical projects and, in some cases, allows the facility to go in-house with their pool care program. It’s not that some pool service companies are trying to purposely mislead anyone, but they have traditionally not been very active in the municipal or heavy commercial marketplace over the years, so many have never been exposed to the track record of higher-grade sand filters. Also, many pool service companies have only experienced semi-residential grade sand filters used on small commercial or residential pools. Many of these types of installations may be flawed with poor design, equipment selection, or hydraulic design, so it is clear to see why the company’s experience may have been a bad one. • What is the proper application for sand filters? • How do you know that you have the correct media in your filter? • How often does media need to be changed? • How do you test the media to see if it needs to be changed? • If it’s time to change, what is the correct media, and what is the best method to accomplish the change? WHAT IS THE PROPER APPLICATION FOR SAND FILTERS? Actually, properly-designed sand filter systems can be used in a wide variety of applications from spas, to feature pools, fountains, and heavily-used main pools. Why spas, many ask, since they would be drained by at least one foot every time you backwash (every week or so)? Our reply would be: great! You see, sometimes maintenance staffs overlook draining spas in order to avoid short-and long-term water quality issues, and utilizing a sand filter resolves that problem by forcing a draining regimen as a by-product of backwashing. SOME FILTERS ARE BETTER THAN OTHERS! First, quality of filter media, and backwash hydraulics are the two main keys to a great sand filter system. Outstand-ing media (that meets filter manufacturer specifications) will produce consistent and superior water quality, and poor media will produce mediocre water quality. Impeccablebackwash hydraulics will allow media to clean itself better and last longer, while other filters will need to have the media changed more often. A significant number of premier sand filters installed since 1988 have been rated as permanent media filters, so if the correct media was used at the start, and proper maintenance was applied, you may never need to change media. IS YOUR MEDIA GOOD? TEST IT! The best way to tell if your media is good is to have it tested. 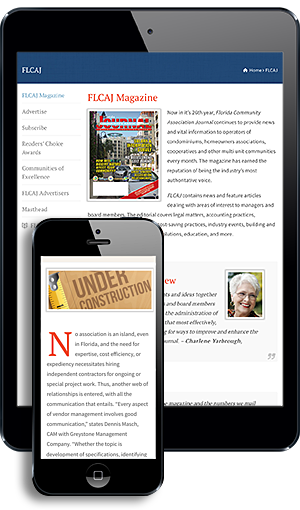 Few companies offer this service, but you can check with the Florida Community Association Journal if interested. A “sieve analysis” will determine if the particle size and uniformity coefficient (known as UC—meaning if the grains are consistent in size) are correct. It will verify the angular nature of the media and will verify that it meets the filter manufacturer specifications. The best silica (sand) media is: Angular-shaped particles (some refer to as sharp), (cannot be rounded) with a particle size between .45 mm–.55 mm. It should also be consistently sized with a “UC” of 1.5 max. WHAT IF YOUR MEDIA DOES NOT PASS THE SIEVE ANALYSIS TEST? If your media is no longer compliant, it is a best practice to replace it. Qualified companies can provide a sand change package that includes removal and disposal of existing media; new, top-grade media, and varying types of labor. They can also check the tank internals at the same time to ensure that your long-term investment is safe. Historically many of the “over-the-counter” media tested in Florida did not pass the filter manufacturer’s guidelines for size, uniformity coefficient, and angularity, so make sure to get your prospective media tested before going through the expense of a media change out. WHAT TYPE OF ANNUAL PM SERVICES ARE BEST? Many manufacturers recommend annual maintenance services on filters, not because of the filter tanks themselves, but, more im-portantly, for checking media, backwash valves, and automatic controls. This PM service is quick and in-expensive, but it will help protect your in-vestment. If the backwash hydraulics are correct, your media will last longer. 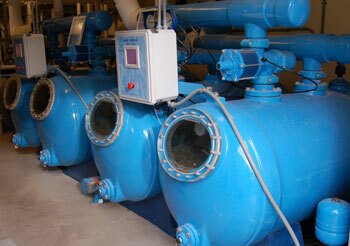 Qualified companies provide a wide range of PM services that are specific to each type of sand filtration system. 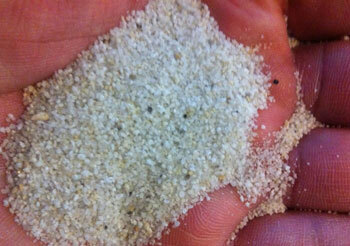 WHAT ABOUT WATER QUALITY WITH SAND FILTERS? Permanent media filters can be equipped with a wide variety of NSF-approved media, to accomplish your desired goals. Some facilities have used drinking water-grade media to provide additional polish and clarity to overloaded or feature pools. Others have used special media, such as Zeolites, to provide additional water savings. Also most manual and semi-automatic filters can be converted to fully-automatic filters at a reasonable cost. These automatic-filter systems can be equipped with digital water level control, monitoring, and alerting of water consumption; direct control of pool recirculation GPM for dramatic energy savings; enhanced control of water chemistry; and supplemental treatment like UV, ozone, and saline; and complete “open architecture” remote monitoring and alert notification system. While not commonly known, high-rate sand filtration systems provide a great alternative to more labor-intensive cartridge and DE filters. You may need to look beyond negative comments from consultants that might not have been exposed to this time-tested alternative, and you may need to look around to find companies that have the experience and expertise to provide you with a great, long-term filtration solution.